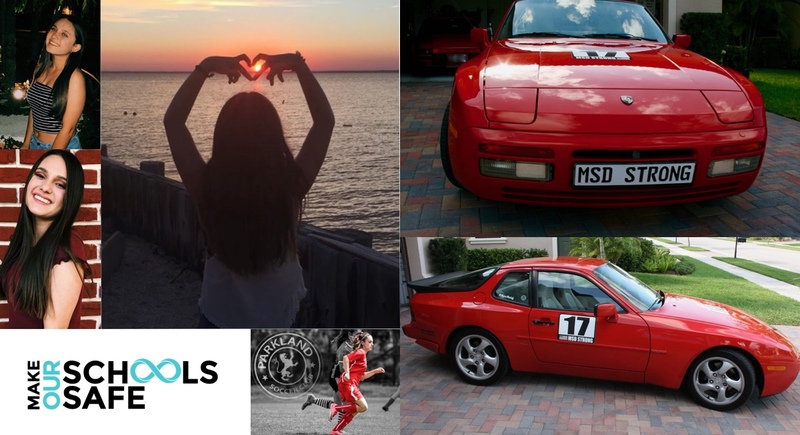 Parkland, Florida, May 17, 2018 -- Make Schools Safe Inc. (makeourschoolssafe.org), a national non-profit organization, announces an online car auction of a 1990 Porsche 944S2 in Parkland, Florida. This event is in memory of Alyssa Alhadeff and the 16 other victims of the Marjory Stoneman Douglas High School shooting tragedy. The online auction will begin accepting bids on Sunday, May 20, 2018 and will end on Saturday, May 26, 2018. Make Schools Safe will use auction proceeds and donations to introduce new safety measures at schools beginning in South Florida and spreading nationwide. One such safety measure is to establish “Safe Zones.” Safe Zones are a defined mustering area where students and faculty are trained to immediately retreat to in an emergency situation, like an active shooter. These safe zones are hardened and equipped with “Stop the Bleed Kits.” The location of Safe Zones will be part of every student, faculty, and staff’s safety orientation and part of the regular safety training conducted throughout the school year. School students, faculty, and staff will be trained on how to use “Stop the Bleed Kits” to treat the injured in a lockdown situation. The establishment of Safe Zones or mustering areas is a common and proven practice used to maintain safety in corporate offices, factories, government buildings, and embassy’s. “If Alyssa was empowered with knowing where a safe zone was, she would have run there. Schools need safe zones now! This auction can help us with that goal.” said Lori Alhadeff. A classic Porsche 944 was generously donated by the Johnson family, next door neighbors to the Alhadeff family. 100% of the car auction proceeds will support The Foundation’s mission to make schools safer for all, especially the students attending school. Please visit http://auction.makesafe.org or email makesafeauction@gmail.com for more information this event.